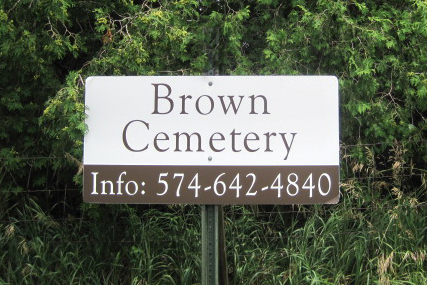 Brown Cemetery is located on the north side of County Road 44 and 1/8 mile west of State Road 13, south of Millersburg, Indiana in Benton Twp., Section 3. It was begun on the Henry Brown farm, who was an early settler in the township. 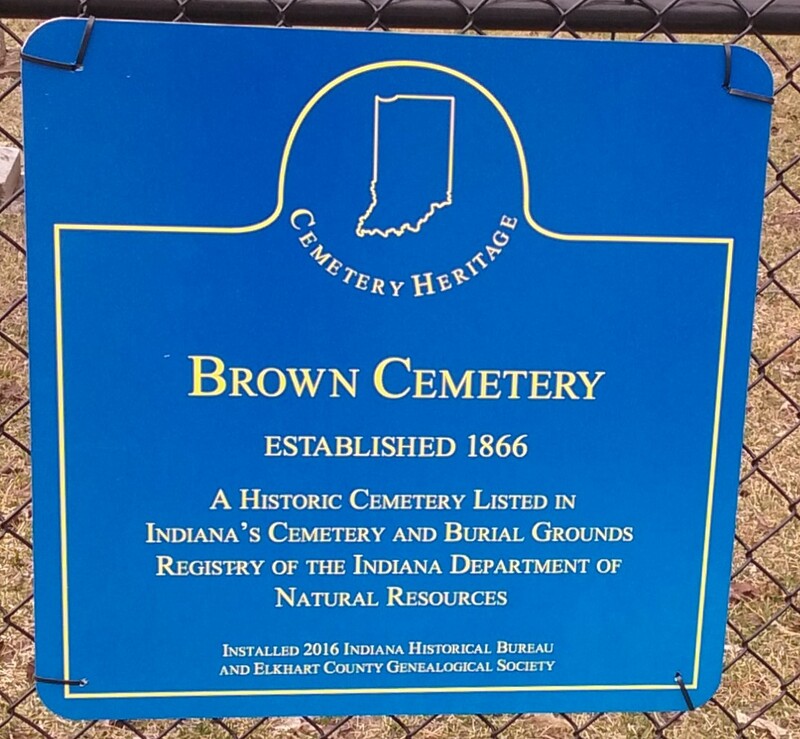 Henry Brown donated the land for the cemetery. Oldest readable marker is for Margaret Wehrly, who died September 9, 1850, in Sect. 1, Row 10. She was the wife of George Wehrly. 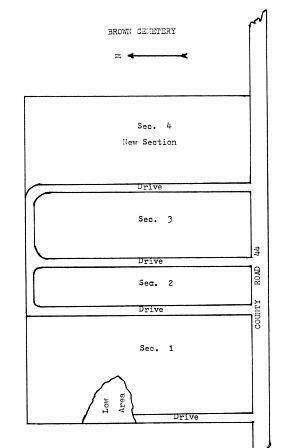 The inscriptions were copied from the Brown Cemetery map by Miriam Glanders in 1979. A notation on map reads, stones are missing or not in place for lots, 76, 105, 106, 135, 136, 165, 166, 195, and 196. 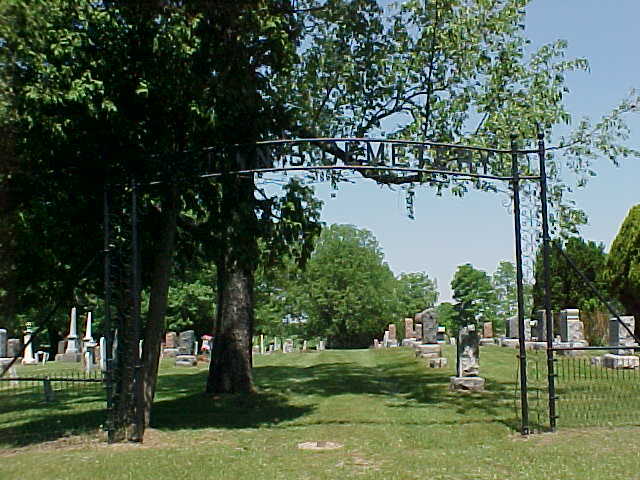 The cemetery was updated and correct, October 19, 1987. Rows copied from south to north, starting at the west side of cemetery.